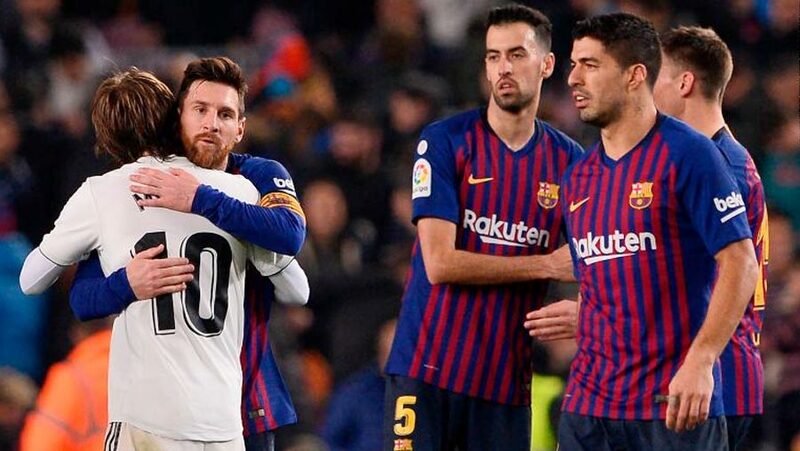 Malcom's spectacular equaliser earned Barcelona a draw against rivals Real Madrid in the first leg of their Copa del Rey semi-final at the Nou Camp. Winger Malcom's second half strike secured F. C. Barcelona a 1-1 draw with Real Madrid to leave the Copa del Rey semi-final evenly poised on Wednesday (Feb 6) after the first leg. However, Ivan Rakitic clipped the crossbar with a header as Barca fought for an equaliser and Malcom eventually found it when Luis Suarez’s shot rebounded to him off the post. The second leg takes place on Feb 27 at the Santiago Bernabeu.